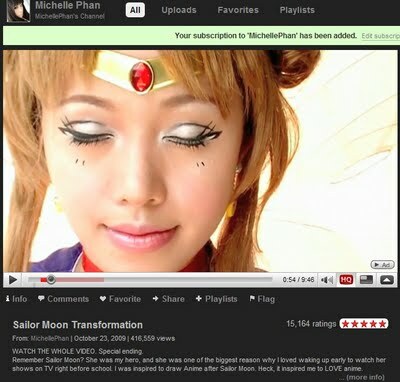 Many of you probably know Michelle Phan. For those who don't, she's a famous youtuber who also is an avid gamer and a big anime fan. Her typical videos consist of makeup and skin care tips and in a video she posted about four days prior to this post, make-up and cosplay tips for those want to look like a very well done Sailor Moon.